ACEITUNAS GUERRA is a family-run company with more than 60 years experience preparing olives and pickled food. Since its foundation in 1948, it has always been strongly committed to using the most traditional methods of seasoning and preparation for its specialties. When the second generation entered the business, they did not forget their traditional methods and craftsmanship, but they also invested heavily in the technology that allowed them to meet a growing demand and new food safety requirements and to considerably optimize the preparation processes. With the arrival of the latest generation, our sights have set on new horizons and we are focusing on modernizing the company in terms of communication and international expansion, reaching new agreements in countries across all five continents. Aceitunas Guerra, because of its long history and geographic location, specializes in the production of the famous Campo Real olive, a rich variety of excellent quality that requires the very best care and know-how in its preparation. Since our foundation, we have been affiliated with the “Aceituna de Campo Real” Quality Label and are one of its biggest producers, always ensuring that the organization’s strict rules on quality are met. 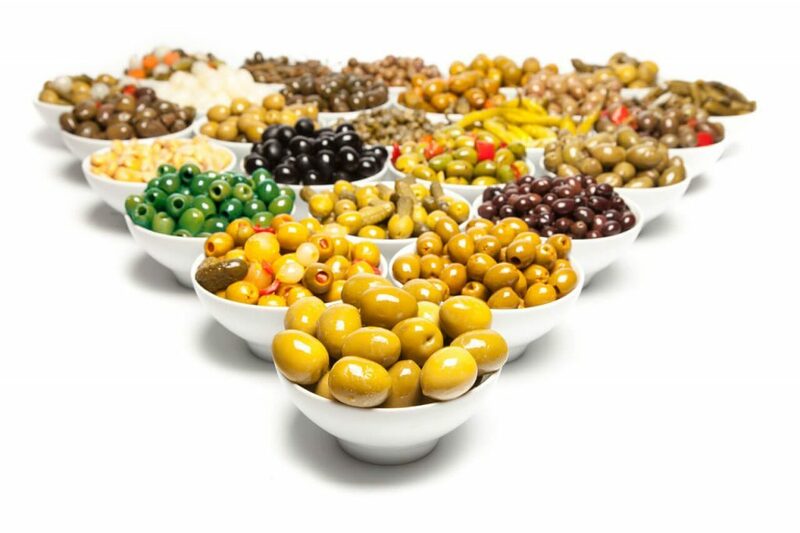 In addition to our well-known Campo Real olives, we produce a vast array of olives, pickled food and appetizers, keeping our spirit of innovation alive and constantly developing new flavors and products to meet the ever-changing market demand. Aceitunas Guerra’s packaging also improves the preservation of our products and guarantees their flavor and freshness for longer. We adapt our production to meet customer demand, with made-to-order products that guarantee better freshness. Aceitunas Guerra currently markets its specialties through all the main distribution channels in Spain as well as in a range of international locations.